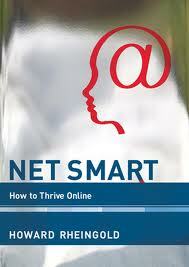 The first class assignment in English 3241 was to read chapter one from the book, Net Smart. The chapter’s focus is on attention. There is so much technology in these days and times and it makes it harder to focus your attention, but at the same time, everyone thinks they can multitask without impairing their attention to detail. There was research done at the University of Utah that concludes, “…2.4% of the college students in their studies were able to talk on the telephone while operating an automobile driving simulator—without degraded performance.” (Pg. 37). While reading the chapter we were supposed to take note of how many times we got distracted. I was distracted about ten times by the time I finally finished the first chapter. A couple of the distractions were out of my control. The apartment maintenance man showed up, and I had to stop reading another time because I had to go to work. The other times I got sidetracked while reading had to deal with checking the clock, my phone and the Braves game. I do have a small problem when it comes to paying attention, but it usually only happens if I have a long assignment or a long reading to do. My mind does divert a little bit if I have been reading a while, and taking breaks gives me a well needed rest and clears my head. The book even mentions in the first chapter that taking short breaks from a long assignment is an effective strategy. School work is really the only time where I feel like I need to take a break. I could sit and watch sports and movies all day and never get distracted. I wish it could be the opposite though because school is lot more important than knowing football statistics and movie history.